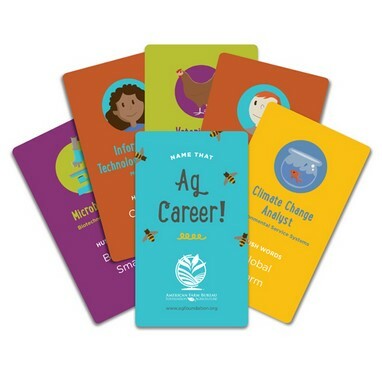 This fun card deck engages students in a guessing game to test their knowledge of ag careers! Includes several blanks for you to create your own. Overview: The point of the game is to guess the agriculture career that is being described. There are four cards per career focus area: agribusiness systems; animal systems; biotechnology systems; environmental service systems; food products and processing systems; natural resources systems; plant systems; power, structural, and technical systems; and agricultural education. There are also nine cards in the multi-career area. There are 45 cards in total.